Hi i could love to purchase my first amstrad cpc.If someone like to sell a cpc 464 or 6128 plus please contact me.Thanks . 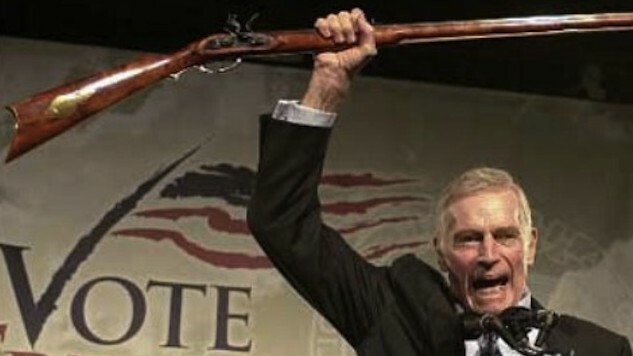 Sorry I would love to help out but I only have my 464 now and as old Charlie Heston said " From my cold dead hands". Good luck with your search though the are excellent machines to own. I believe there are a few on ebay right now, both plus and regulars.. the prices are another matter though, it would seem people have realized their worth. Just try to ask the seller. Otherwise, maybe some french member here can help you. I have two 464’s Schneider (high keys non-plus) for selling at 85€ + postage. If you are interested PM me. Didn’t post still since I just took them from my keller this morning. I bought a GX4000 off ebay a couple of months ago... and the seller shipped it internationally by the cheapest non-tracked package service possible. So of course I don't have it, can't chase it, and don't even know if the seller actually sent it or just ripped me off. Yaaaaay. I have a mate in La Belle Francais who bids on kit for me and they post it to him - he ships to me and I square up with him in the end. Not the most financially or productive way to do things but he also speaks/writes French 1000% better than me so it makes life easier for me.Is there anyone on here from France that would do the same for thee??? Yes i have exactly the same experience the seller was sayan2722 the computer was listed as not tested/non working.He replied in french all messages i offered him in place to send to Uruguay if he don't like so, to send it to Miami but he say also no.I see most cpc are located in france and sellers from there don't like to ship to other countrys even in the European Union. I have tried to find a currier that do this in France, but that it's not easy even more considering the language barrier. I have a CPC464 which may become available if my new 6128 turns out OK. If it's a non-working 6128 I would need to fix it first ( I don't want to be without one working CPC ) and I would ship it to you the shipping cost will depend on where you are I can get some quotes to see if it is viable if you let me know. I could sell a CPC 464 and ship it to Miami / Florida. PM if interrested. I am in the US. It would make more sense for Lambda to sell you one I think and keep the costs down a bit. How much do you ask for it ? Let me go through my stash of 464s and figure out which one I want to sell and then I'll followup with you by pm tonight okay? I'll be in touch. That's the one yes. I just don't get it.. whether it's sent locally or international the hassle is the same so why the heck not just open it up to the world? OK, sorry it took a while. Attached are the images of the 464 that I would like to sell. Well, it is not the most pretty one, and it has one defect: the pause button of the tape doesn't work (but who needs the pause button anyways... the 464 has motor control!) I suppose that can be fixed. I have tested disk (via DDI3) and tape loading, and it works fine. One thing I cannot guarantee is that it works with 4 MB expansion - honestly, I only own one out of 5 CPC 464 for which Batman Demo does not crash at some point. I still haven't found a way to run the 4 MB expansion reliably with a CPC 464. This is a problem with the 4 MB expansion though, not with the 464. I'll send you the price over PM; shipping should be in the 17 $ range I suppose. Haven't heard back from you yet. Hi for some reason i got the email telling me that i have a PM on the forum but there's no PM on my inbox.I'm interested in the amstrad what the ddi2 does and what is it ?. I just sent you another message. The DDI-2 is a disk controller made by Piotr / Zaxxon, before he released the DDI-3. I have to find it first though.. You still would need a HXC disk emulator or a FD1 3" floppy (or 3.5" I suppose) to use it acutally (I never tried connecting anything else than a HXC, but it should work). Notice that only the 664 and 6128 has a built in floppy / floppy controller, the 464 needs an extension for that. It plugs into the expansion port connector. Unfortunately, it has no pass-through of the expansion port. I have send you the paypal payment .